The Hong Kong Engineer is the official journal of the HKIE and is published by Printers' Circle Ltd at the beginning of each month. The latest issue of the journal will be posted on the online version from 15th of every month. Hong Kong Engineer is available online for members viewing anytime, anywhere. Not only the current issue, but also the past issues are accessible through the web-based version of Hong Kong Engineer at http://www.hkengineer.org.hk or the flip version archived at HKIE eBookshelf in the Member Login Area of the HKIE website. Please read the Journal online today! In tandem to this, enhancement of the digital version of the Journal would be introduced with an easy-to-read presentation. Please stay tuned! 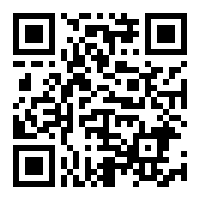 If members wish to read the digital version only and not to receive the printed copy of Hong Kong Engineer, please indicate your preference at the Member Login Area or via the QR Code below. For enquiries, please contact hkengineer@hkie.org.hk. Editorial contributions are mostly welcome. Article for consideration for publications should be submitted to editor@hkie.org.hk. Advertising and subscription rates are available on request from Printers’ Circle Ltd. 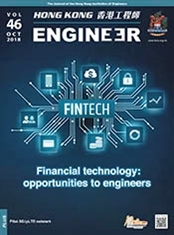 Please refer to the contents page of the Hong Kong Engineer for full details.